Kinomoto Sakura is an ordinary girl, living with her father and her brother. Everything was normal until one day she heard a strange sound from her father’s library. She went to find the source of the sound, and destiny lead her to open a book full of cards. Those are not just ordinary cards; the cards are clow cards made by the world’s greatest magician named Clow Reed. Each Clow Card has magical power allow them to think, to act, and to cast their own abilities. By mistake, all cards were scattered away when Sakura opened the book. Kerberos, the guardian of the cards (another magical creature) was awaken and together with Sakura they try to gather all the escaping Clow Cards again. Card Captor Sakura is a light, funny, and entertaining story. It’s one of the classic anime which brought fame to CLAMP, a group of artists who created this anime’s original story. A classic and unforgettable anime. I’m glad that I finally have te time to put this anime into my website. Recommended for all ages (kids would love this). wooh!! my ged!! i can’t believe that i’m watching sakura again after it had ended on my child-years!! grade 4 ako nun nung last ko tong napanood.. :)) now im in 2nd year college and the spark of this series is still their! this is part of whom i become right now -imaginative and believer of impossible!! i could watch this till the end of time over-and-over!! KAtulad din ng magical system na ginamit ni clow reed! mixed western at eastern magic, i believe the western magic that he used is chaos magic system, the creation of magical entities, and i have a copy of that book! then the eastern magic is somewhat like shikigami no jutso, the use of paper dolls on summoning magical entities. if i only know how to do shikigami no jutso, I can make my own clow cards. but i’m afraid of the consequences, cause these things might bring chaos in the real world. I’m sorcerer just like clow reed in the story. and i hope if i made those cards, there will be a sakura to save the world from chaos! Who wants to create clow cards!? You’ve can’t then downloaded then normal speed don’t worry own. So Awesome watch more ep it’s 22 years old don’t worry own. Only age laptop then I’m sorry then in 11 years old it’s me just then only. Then watch latly hours then don’t know in they English Language answer to Question :/ I’m bored hours quit games i just watch. ,,,,,,,sna may ksunod pa ung moment nla sakura at shaoran ……ka inlove tlga ung 2 ung ,,,,,sna may anime real world din!!!!! gosh…kaadik….diehard tlaga ako sa sakura….love it………. 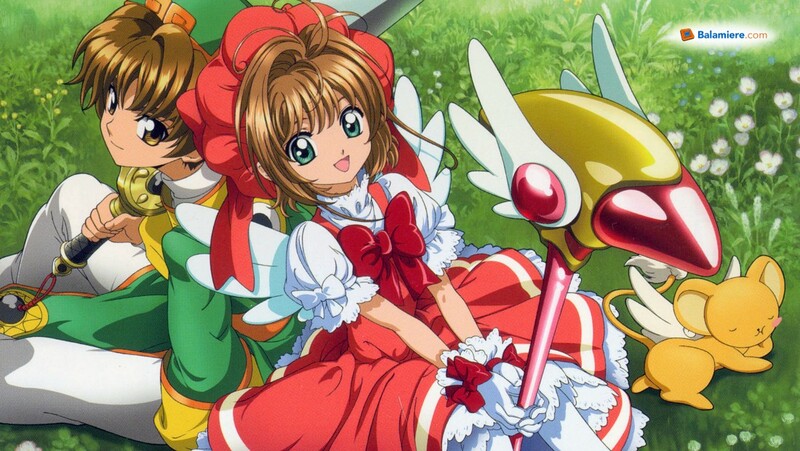 i really love card captor sakura…even if im guy im a big fan of this cartoon series…more power ad god bless..